with android 2.3.7 its awesome! really excellent for this price! Excellent phone for it's price range. Very happy with it. A few issues with batt life and speed though. But iI got more than I paid for. how can i upgrade the android from 1.6 to 2.1 or 2.2 ? i wanna know that if ter is any update from 2.1 to 2.2 version officially. dont buy this if you dont like to experiment with cusrom, DO buy this if you want to do lot of experiment! worth it trust me, especially gingerdx rom that make this phone even better and fast, and allow support multitouch! AnonD-27083, 21 Dec 2011Guys, can you help me. I got problem with the auto brightness. Can you guys help me how to off... moreThe only way to turn off the auto brightness is to attach a sticker over the light sensor!!!!! 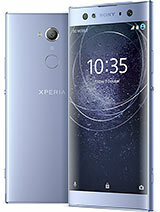 I bought 2 sets of sonyericsson xperia X8 in St. Maarten in Carebbean last march......I find it very easy to use,very affordable and cheap(180 US$ each).Its nice for an Android price like this. shouLd i buy this or not ? is there any chance that Xperia X8 could be upgrade to Gingerbread? how to connect wifi with proxy settings? very excellent mobil.i like it & love it. Wong, 21 Dec 2011this mobile 3G is using front camera or behind camera?It uses a behind camera, without zoom !!!!!!!! !